Best of south Vietnam includes – exciting Ho Chi Minh city, amazing Mekong delta - highlight of all Vietnam holidays and beautiful and romantic Muine. Limited offers for the south Vietnam holiday. Tour name: Best South Vietnam. Length of the tour: 8 days and 7 nights. Tour Starts and ends in: Ho Chi Minh City. On arrival, you will be welcomed and transfered to your hotel for overnight. 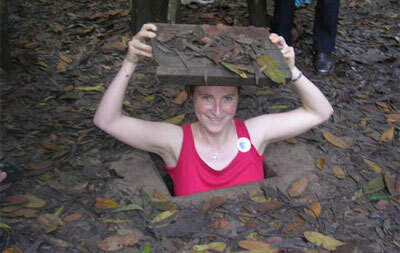 Morning, discover Cu Chi Tunnels, a 200 km underground tunnel network built by Vietnamese fighters during their struggle for independence. Discover Cai Rang and Phong Dien, the 2 most amazing floating markets. See local people trading their farm products at exciting atmosphere. Visit Bun Tau noodle factory and a rice-husking mill. Here, if you like, try to pass one of the many fragile monkey bridges along the canals for photo shot. Nerver forget this experience on Vietnam holiday. drive back to Saigon. After 3 hour drive from Saigon city, feel free to mix yourself with stunning nature in Muine. Have no sense of time just because of amazing nature. Free at leisure on white sand beach or walk around villages nearby. 12:00 pick up you and tranfer to your hotel in Saigon for overnight. Free at leisure until transfer to the airport. 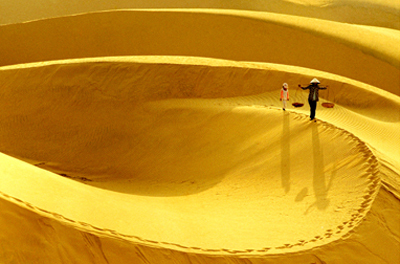 Best of south Vietnam holiday will create memorable time for your life.Limited offers.